Last week we began our Social Emotional Learning (SEL) units during our Quest classes. Because of the feedback we received from our students last year, we are looking into new or updated SEL programs. Last week each teacher taught two lessons from the new Second Step Program. The initial feedback from students and teachers is that it is much improved. Students found it to be much more enjoyable while at the same time getting the point across. We will continue to focus on SEL curriculum because we know that it works. Building on and practicing skills throughout the middle school years helps students become better able to use them. As in the lessons taught in previous years, the new Second Step program focuses on skills that will help your student succeed in school and in life. These skills include empathy, communication, goal setting, relationship building and more. Please ask your child what he or she learned in Second Step - you might be surprised. One of our main focuses this year will be on relationship building. We know that schools are defined by the relationships between students and the adults at school, but in addition, research suggests that students perform better in school when they feel valued. The reason for this is that students feel “intellectually safe” when they have strong relationships at school. They are more likely to take risks and try new things. They are also more likely to fail and try again until they get it right, learning along the way. We call this “failing forward.” Our SEL curriculum will help us build and maintain positive relationships at school, but we do not plan on stopping there, we have several activities planned throughout the year to help us create a strong, caring community at CMS. I will be highlighting them and asking for parent participation as events come up. Please take a moment to read the newsletter from our amazing counseling department. It is linked below. Students have the opportunity of a lifetime to attend their 8th grade Washington, DC and NYC trip from June 17, 2019 to June 21, 2019. Learn more about the trip and hear from the trip leader at https://sites.google.com/view/dcny2019/. Ready to sign up? Enroll today at www.efexploreamerica.com/2101599md. Elections for 6th and 7th Grade Student Representative are taking place this week. All election packets and posters are due to Ms. Williams in room 204 by tomorrow, September 11th. Elections will take place Friday, September 14th. The Central Arroyo PTA needs YOU! How can you help? Become a PTA Partner and donate today! Ensure each week has a volunteer signed up. Alert Patti Blumen on a weekly basis name/email of washer. Act as contact person in case loaner clothes not picked up or returned. Photo Coordinator for CMS Yearbook: Mr. Lamb and the CMS Yearbook team would like a parent/guardian or 2 to help coordinate photography at school events and after school sports. It’s time to register for the Stampede & Soar Color Run! Join the Arroyo Eagles and Central Mustangs on October 28 as they Stampede & Soar through the City of Good Living! This year’s fun run will be a Color Chase celebrating community and team building. Family members are invited to get in on the action or cheer on our runners as they race the rainbow! Registration available online. Register now before the price increases on September 28. Consider sponsoring the Stampede & Soar! Promote your business on Stampede & Soar t-shirts and banners. More information available online. Directory Burst – The Online School Directory is Now Available! The PTA is pleased to announce that the 2018-19 CMS Online Directory is ready! 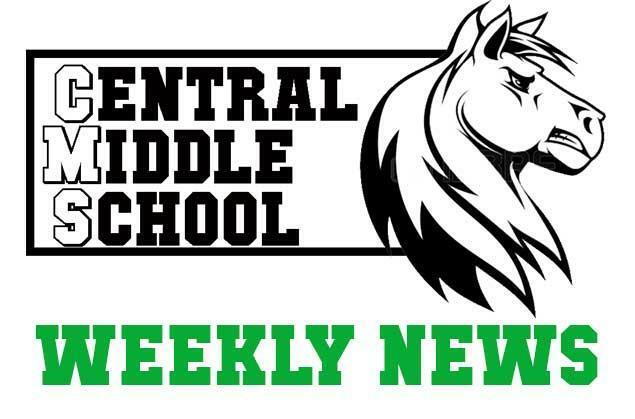 If you provided an email address in InfoSnap, and agreed to have your information shared in the CMS directory, you can access the school information through Directory Burst. We will also be providing a printed version of the directory to all CMS families in early October. For families who utilized the CMS online directory last year, no action is required. Your account has automatically been updated and you have full access to the 2018-19 information. 2. When you click the link, you will be prompted to create a password. This protects our directory data, so that only members of our CMS community have access. 3. Once you have logged in, select the CMS Directory to view all students and/or staff by name or by grade. For returning families who did not utilize Directory Burst last year and no longer have the original invitation, please send an email that includes your child’s name and grade to Linda Kleinschmidt (mustangdirectory@gmail.com) and a new invitation will be sent to the email addresses you provided for the directory. NOTE: If you requested in InfoSnap that your information not be shared with the CMS PTA, then your child WILL NOT be listed in Directory Burst or the printed directory. If you would like to be listed, please send your information to Linda Kleinschmidt (mustangdirectory@gmail.com) before September 21st. September 23rd is the San Carlos Day of Service. Central Middle School has several projects to help clean and beautify the campus, that need both adult and kid volunteer help on this day. Activities include planting, weeding, decluttering, and more. Please sign up at http://signup.com/go/SbseUZa Thank you!! Entry includes music by "Gotcha Covered", appetizers, cheese table, dessert bar, Devil's Canyon brew on tap, wine, and our signature cocktail! Join architect Una Kinsella and interior designer Surrina Plemons on an immersive tour of three homes recently remodeled by Kinsella and Plemons. Entry includes a day of creative discussion, ideas and inspiration, color, features and finishes, food, drink, company, and aesthetic enjoyment. Spend a night high atop La Mesa, with delectable delicacies delighting the palate, vistas of San Francisco twinkling in the distance with the sounds of cocktails clinking nearby. Entry includes a gourmand's artisanal extravanganza of homemade charcuterie, cheeses and breads, as well as personalized drinks appropriate for the evening. Once again, we pull out all the stops for THE Costume Ball of the YEAR!!! Get your groove on with hopping music that will have you dancing the night away. For information about other SCEF Events, visit: www.scefkids.org/events. Mary Poppins is coming to the San Carlos School District and your student can be part of the fun! Students in grades 4-8 are invited to join the cast of this year's magical SCSD musical MARY POPPINS JR! No acting experience required. Everyone who registers will be cast. Students in grades 6-8 must audition to be assigned a character part. Students in grades 4 and 5 will be part of the ensemble and do not need to audition. Get more info and sign up before Sept. 18 at www.SanCarlosChildrensTheater.com. Find out what’s happening at Sequoia! Hello and Welcome Incoming Carlmont Scot Families! Please find our September Carlmont Corner attached . Mark your calendars for Monday, October 8 as the first day to sign up for Individual and Group Shadowing and Tuesday, October 16 for Parent Information Night, Campus Tours will begin at 6:00 p.m. in the Quad – the Presentation will being at 7:00 p.m. in the Stogner Gym. Parent Information Night is for 8th Grade parents only, it provides a broad overview of the academic program at Carlmont. After campus tours, a brief introduction from Carlmont Principal Ralph Crame, follow by the presentation from elective and athletic programs, parents will then be dismissed to nearby classrooms to hear from Carlmont teachers on the four core curriculum areas: Math, Science, English and Social Studies.